Share1Like this article? Share it on Facebook! Most likely, you are familiar with the term “Montessori,” but can’t put your finger on exactly what it is. In a modern educational culture that stresses standardization and memorization, Montessori offers a logical alternative: a method that teaches your child to be independent, think critically, and to develop an inner motivation to learn—starting at a very young age. The Montessori method is based on the life-long research of Dr. Maria Montessori, an Italian scientist. The first female physician in Italy, Dr. Montessori was fascinated with children and their development. Working at a daycare program in the slums of Rome, she keenly observed the developmental needs of children and recognized her students as unique, admirable, and worthy of the greatest respect. The educational method she created is based on the idea that children are naturally curious, independent, and want to learn everything about their world. These universal characteristics, when supported with a carefully prepared environment, allowed these disadvantaged children to absolutely flourish. Twice nominated for a Nobel Peace Prize, Dr. Montessori’s legacy endures today with thousands of Montessori schools serving children from birth through adolescence around the world. Dr. Montessori recognized that each child is unique and develops according to an inner timetable. In a Montessori classroom, new concepts are introduced to your child when she shows an interest and readiness—and will be challenged according to her ability, rather than top-down, age-based standards. Dr. Montessori observed distinct “planes of development”—three year periods in which all children share characteristics, interests and tendencies. Children are grouped in multi age classrooms that mirror these three-year age spans, encouraging peer-teaching, leadership, and a community atmosphere. We introduce your child to a broad curriculum, but give him or her the freedom to pursue his own interests, while making responsible choices. The result? Your child will become an independent learner, self-motivated, and excited about education. You won’t see rows of desks, a teacher at a blackboard in front of the class, or children filling out mind-numbing worksheets. Rather, your child will work hands-on, with beautiful learning materials specifically designed to facilitate a deep understanding of abstract concepts and essential life skills. Dr. Montessori observed that all children have a natural drive to be independent—and the Montessori classroom is designed to encourage this process for your child. Small furniture, low shelves, and child-size tools (think tiny brooms!) allow students to take care of themselves, their friends, and the classroom with limited help needed from adults. The Montessori teacher spends considerable time creating a classroom environment to meet your child’s every need. Child-size materials and tools that aid independence are organized and cleaned daily so students can access and use them when needed. Cultural items of interest, beautiful artwork, plants and animals create a warm, inviting environment in which your child will love to learn. Kindness and respect for others are modeled by the teacher with “grace and courtesy” lessons. The oldest children, having practiced for three years, serve as leaders for their younger friends. The result is a loving and peaceful community of children. Through her observations, Dr. Montessori grew to respect the child as a capable, admirable individual to be unconditionally accepted as one of life’s most marvelous expressions. We live this belief by developing a deep relationship with your child and respecting his or her unique gifts, talents, and traits. 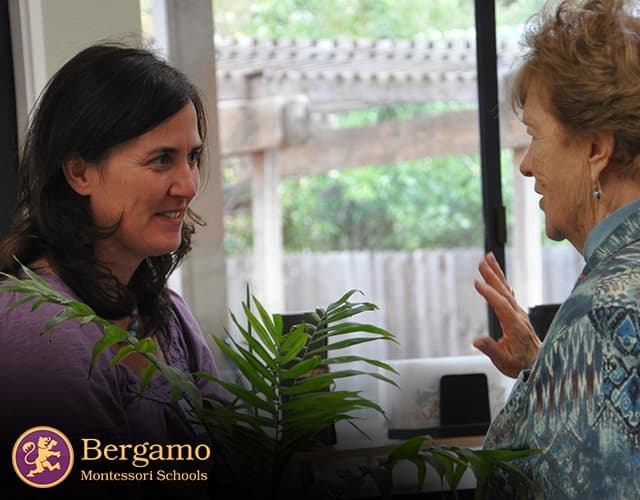 At its core, Montessori education is meant to be an exciting adventure—a journey of self-discovery. The reward lies in your child’s personal success, rather than grades or external rewards. The first six years of your child’s life is a time of tremendous growth and rapid development. The educational environment you choose will have a tremendous impact on her beliefs about herself, her ability to learn and the impact she can make on the world. Montessori education offers a compelling solution that respects your child’s unique development, stimulates a love-for-learning and prepares him or her to face the challenges of the future.